Rolls-Royce designs, develops, manufactures and services integrated power systems technology for use in the air, on land and at sea. Our products have been in use in the region since 1955, with the first Rolls-Royce powered aircraft operated by Iraqi Airways took flight. With a 52% share of the new Civil Large Engines on order worldwide, we power over 30 types of commercial aircraft and have 13,000 engines in service globally with airlines, freight operators, lessors and corporates,. We are the largest Defence Aerospace company in Europe and the second largest globally, with 16,000 engines in the service of 160 customers in 100 countries. 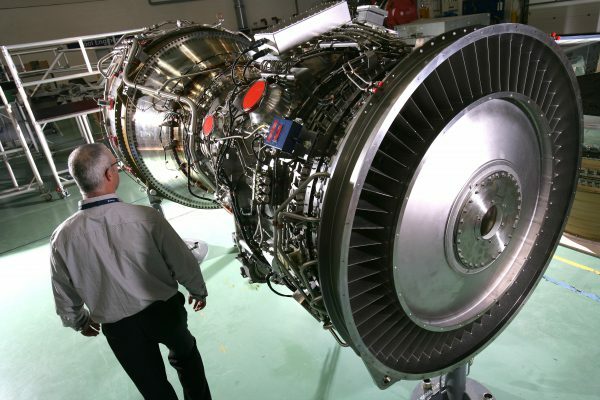 Our engines power aircraft in all major military aviation markets. Our M250 engines, which powers the Bell 206 helicopters, enjoys prolific service in numerous helicopter applications in Iraq and through-out the world. We are the global leader in military transport, and for Iraq, we power the C-130 Hercules with the T56 and AE 2100 engines. Our Marine busness is responsible for the installation of equipment on over 25,000 vessels globally, with strengths in three key markets – naval, merchant and offshore. In Iraq, we have presence in the Ports of Basrah and Umm Qasr to support Iraq based vessels using our equipment and technology. Under our Power System business, our world-renowned MTU range of reciprocating engines are in the marine sector, distributed energy, oil & gas, rail and off-highway vehicle applications.